Medicare Supplement Plan F is generally regarded as the most comprehensive plan out of the 10 Medicare Supplement (Medigap) policies available in most states. Its extensive coverage makes this a popular plan for beneficiaries who want broader assistance with out-of-pocket costs in Original Medicare; however, this also means that premiums may be more expensive. Plan F covers all remaining hospital and doctor costs after Original Medicare Part A and Part B has paid its share, leaving you with no deductibles or co-pays. 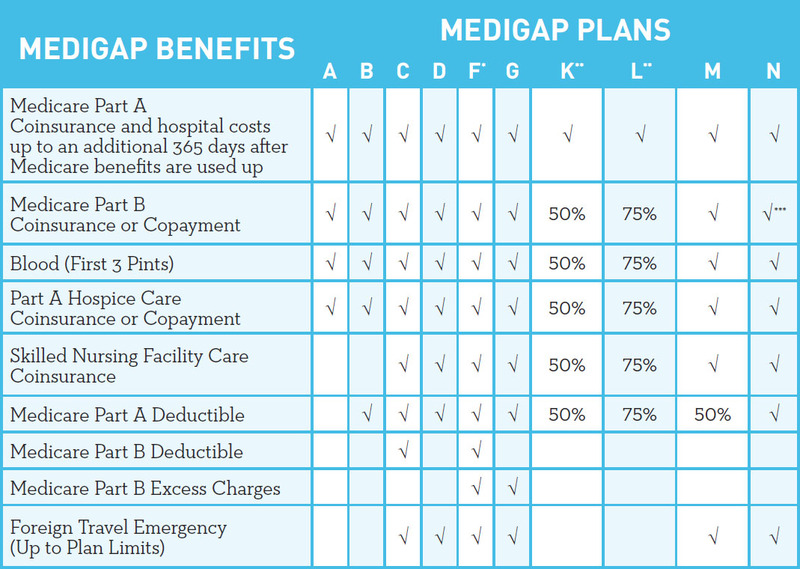 Plan F benefits, like other Medigap plans, are standardized in most states. This means that regardless of where you live or which insurance company you purchase from, you’ll get the exact same coverage for a Plan F sold anywhere in your state. However, keep in mind that even though benefits are the same, premiums for that coverage may vary. Plan F does not replace Part B. You must be enrolled in both Part A and Part B to enroll in Plan F. However, it provides the most comprehensive Medigap coverage that you can buy. You will NEVER have to pay a deductible or co-pay with Plan F! Guaranteed renewable. Your coverage can never be cancelled due to health conditions or the number of claims you file. Here’s an example: if you have no supplement, you would owe an $1,364 deductible (Part A deductible) when you go in the hospital. You would also pay 20% of expensive procedures like surgery, because Part B only pays 80%. If you had a Medigap F policy, though, all of these would be paid for by your insurance! Bill was diagnosed with lung cancer and thankfully was enrolled in Medicare as well as Medicare Plan F. He did have to go undergo chemotherapy and radiation all which he paid zero dollars for. Medicare paid his medical expenses first and his Plan F paid the remaining balance. If he only had straight Medicare alone then Medicare Part B would of paid 80% of the cost of his chemotherapy and radiation and he would have been responsible for the 20% that is not covered! This makes it easy to understand the importance of having Supplemental coverage!